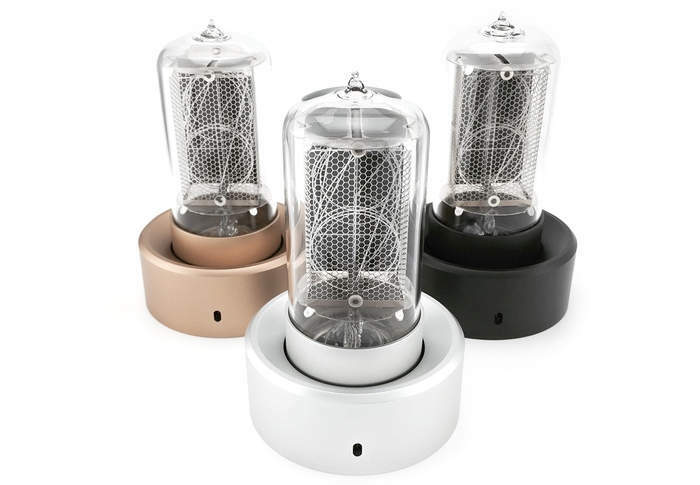 Duncan Hellmers based in Sydney Australia has created an oversized USB Nixie Tube Clock called the Blub Keo, which is available to purchase in four different finishes that take the form of aluminium, bronze, space grey and black. Blub Keo has been launched by Kickstarter this month and has already blasted past its required pledge goal with still 22 days remaining on the campaign. Watch the video below to learn more about its construction, sizing and features. Blub Keo is a USB powered nixie tube clock which displays the time using sequential digits which are illuminated through ionized neon gas. A blend of solid machined aluminium, stainless steel, hand formed glass and neon, Keo is a delicate fusion of art, design and engineering. 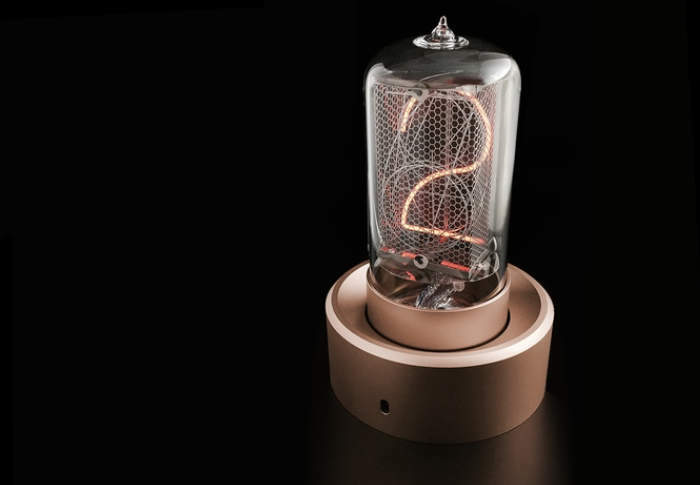 With a warm orange glow reminiscent of a vintage amplifier valve, Blub Keo’s display features a hand formed glass ‘bulb’ in which a series of very fine stainless steel numerals are arranged in a stack and illuminated one after the other to show the time. The display produces no heat, no noise, uses very little energy and celebrates what is arguably the most beautiful way of displaying numbers. Blub Keo’s ‘nixie’ display is the largest of its kind currently ready for production, and is meticulously hand assembled, gas filled and tested to ensure the highest quality and function. In fact, the display has been engineered and assembled with such care and precision that we will guarantee its function for 10 years! However, in the very unfortunate event your Keo is dropped onto concrete from a great height, your dog kicks it off the shelf or you smash it off your nightstand with your flailing arms in a desperate attempt to get up for work on a Monday morning, don’t worry! It is easy to plug in a replacement display and takes only a few minutes. For more information on the new USB Nixie Tube Clock jump over to the Kickstarter website via the link below, for details and to make a pledge from AUD $399 for the aluminium version with shipping expected to take place during March 2017.